Here at Freightlinx we aim to reinvent public opinion of the transport services industry by providing cost effective and efficient transport solutions with the highest quality service. Our Clients rely on us to provide a complete transport and logistics solution. 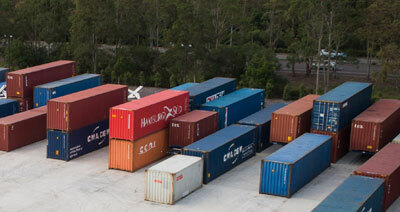 With a depot based on the Central Coast and Canberra our business focus is FCL shipping container transport with a fleet of sideloaders and standard trailers to suit most delivery locations in Canberra, Central Coast, Newcastle and Regional NSW. 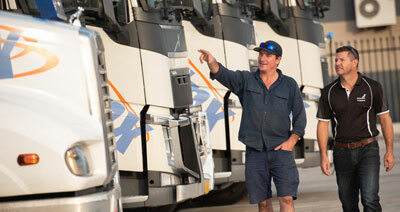 We also offer an LCL general freight service from Sydney to the Central Coast and Newcastle areas. 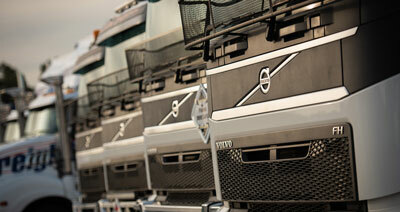 We are waiting to discuss your transport requirements today. For the past 5 years, Freightlinx has been a great partner and absolutely vital in the development of our international export shipping and importing business. They have an excellent track record of picking up and delivering our loads on time without issue. Their dispatchers and load planners are always happy to help with whatever we throw their way, and are true experts in the industry. I would recommend Freightlinx Transport to anyone, but especially those who have been in the industry a while and know how difficult export and import shipping can be. I consider the relationship we have with Freightlinx to be a great asset to handle our demanding loads. Freightlinx are a great company to work with and an important extension of our business that allows us to meet and exceed our client’s requirements and expectations. Adam, Tolo and the team are highly professional and focused on providing best in industry service. We would like to thank Freightlinx for their generous support in shipping 8 anaesthetic machines from Newcastle to Dalat in the Southern highlands of Vietnam. This equipment is expected to serve the people and tourists of Lam Dong Province for another 15 years. Well done Freightlinx, you really helped to make a difference.